In collaboration with Sandwich Technology School we are introducing a new bus service with limited stops for students in the Deal and Walmer areas to assist with passenger volumes to the school. 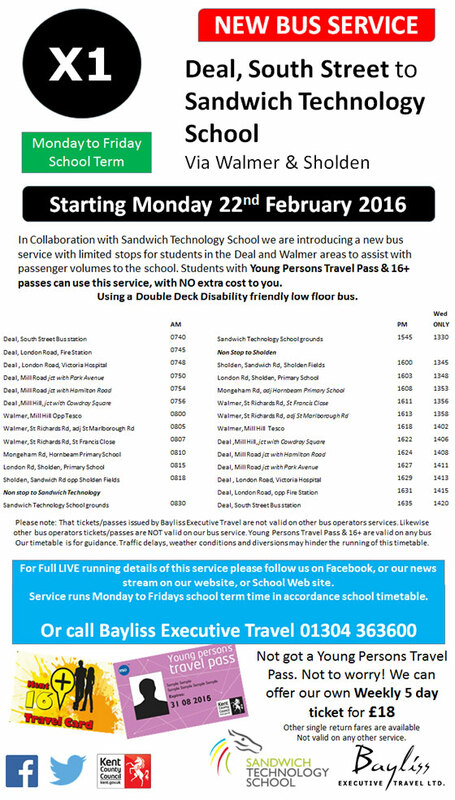 Students with Young Persons Travel Pass & 16+ passes can use this service, with NO extra cost to you. Using a Double Deck Disability friendly low floor bus.